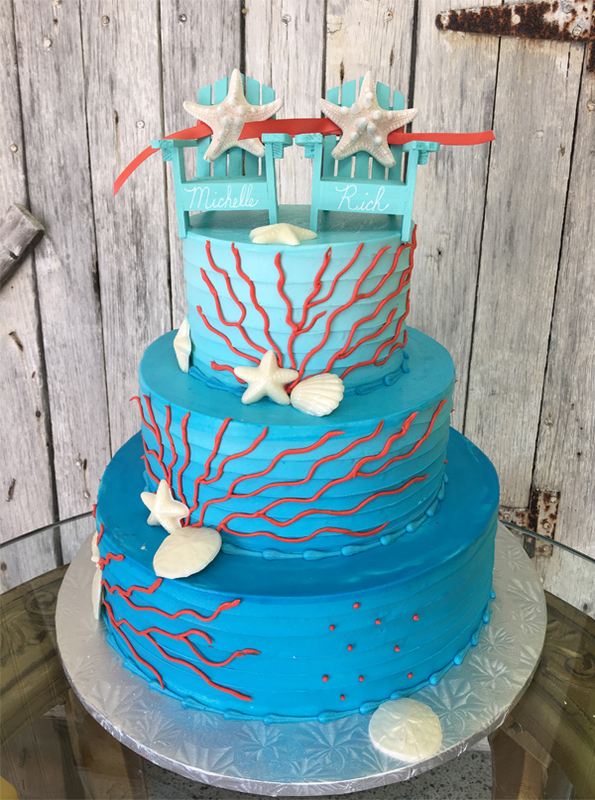 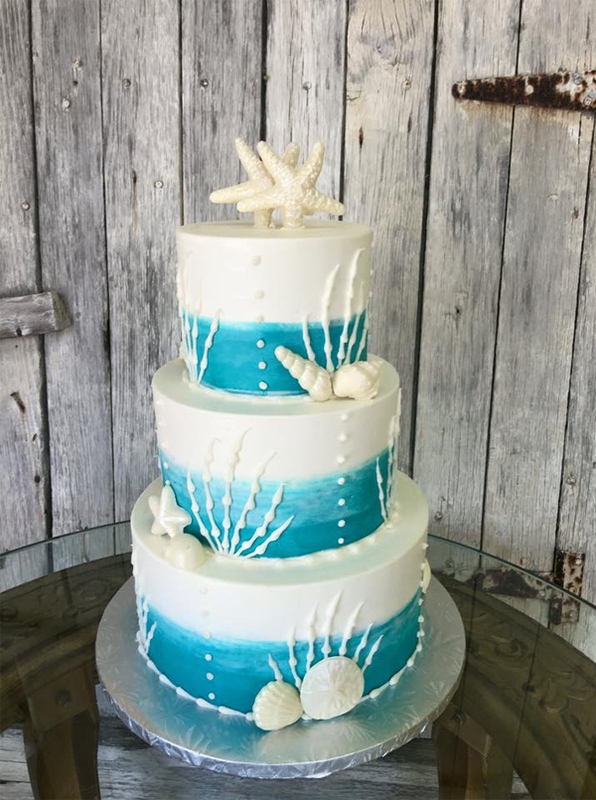 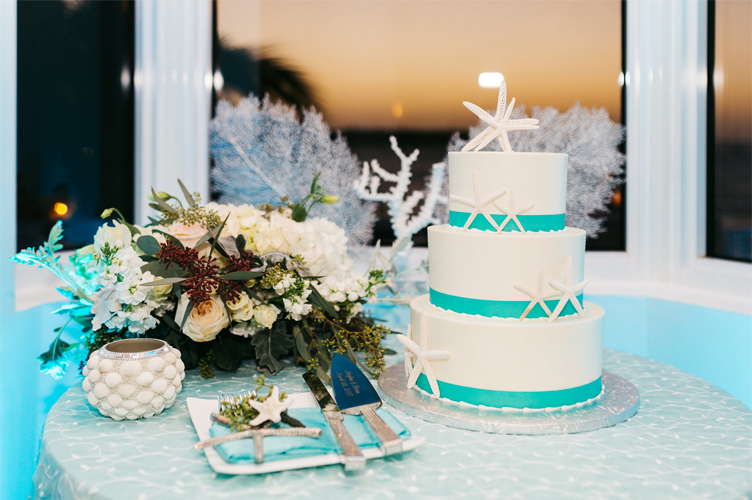 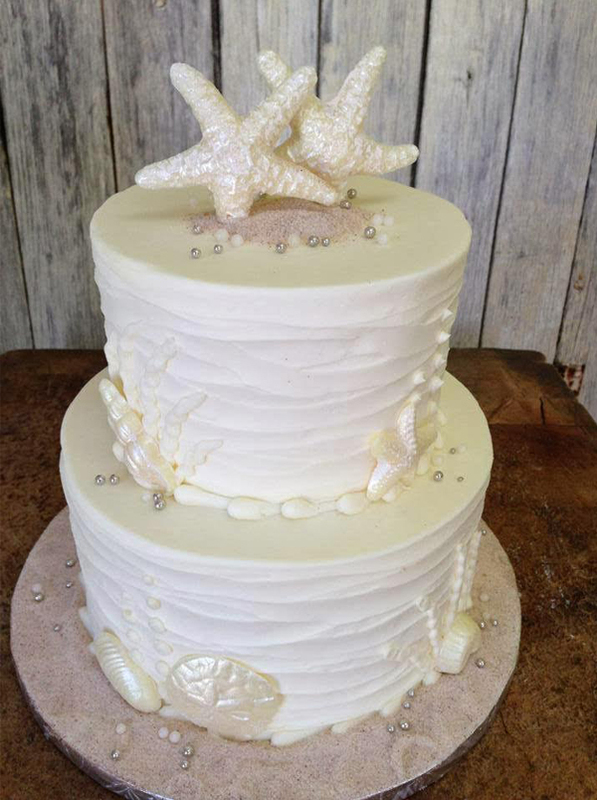 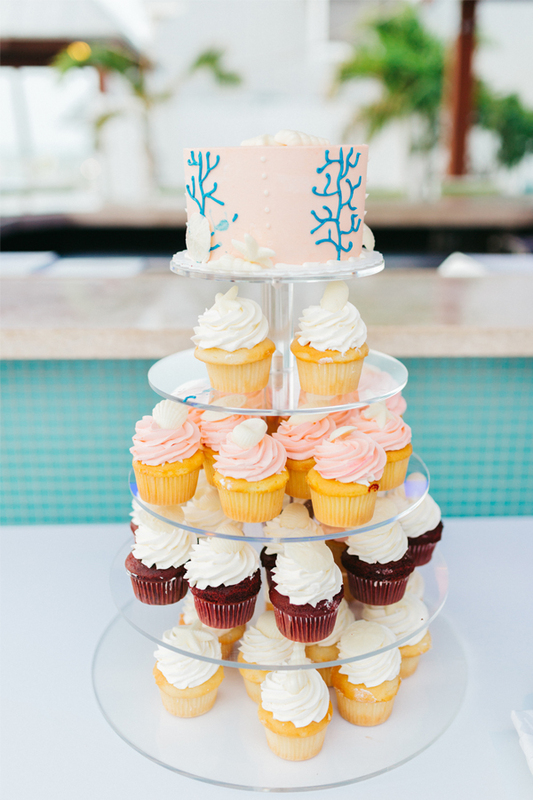 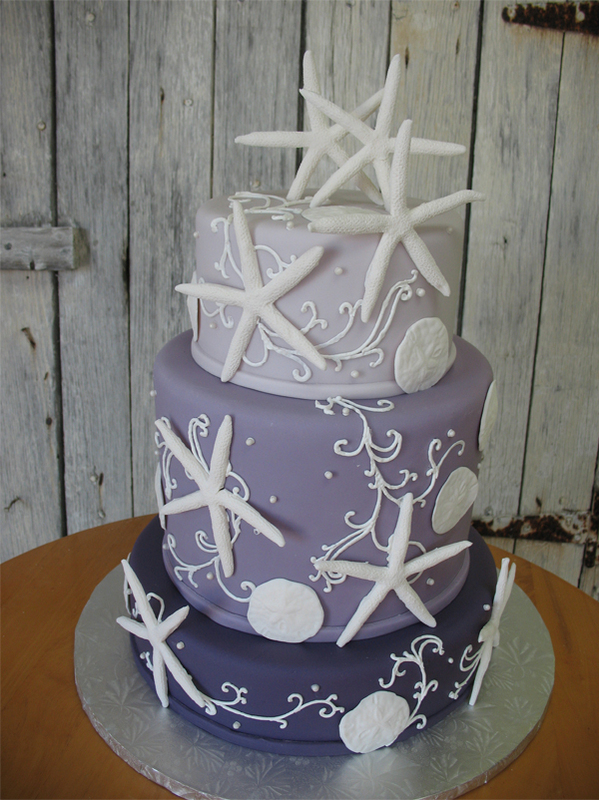 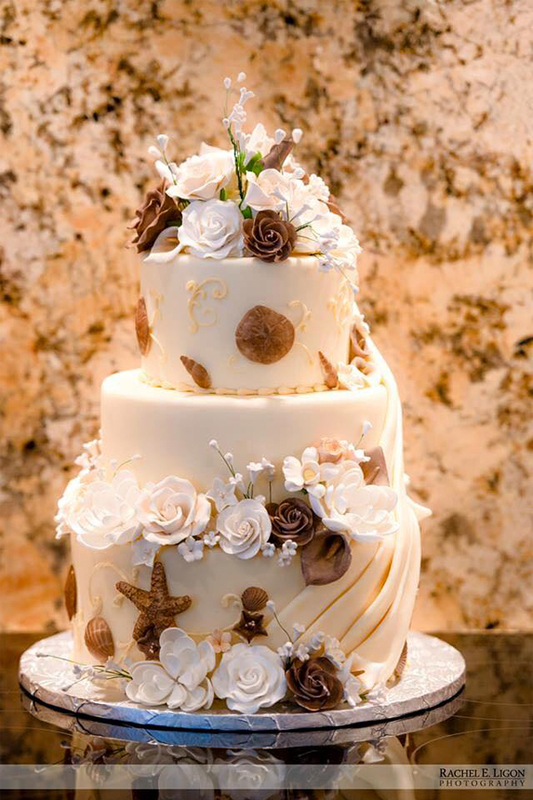 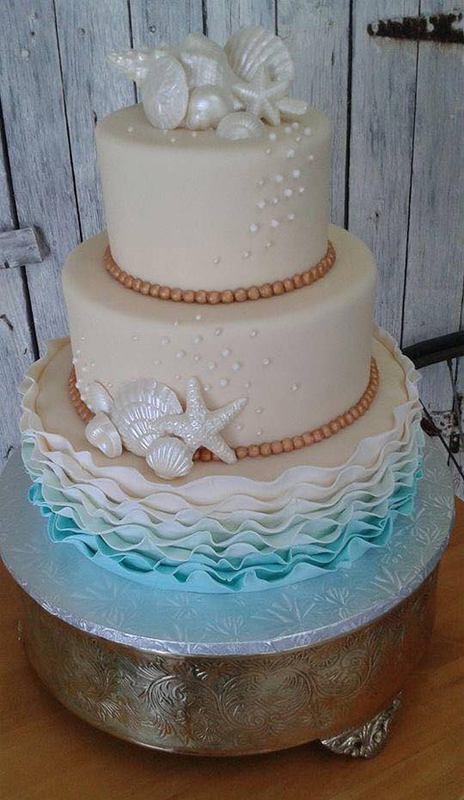 For Key West wedding cake designs, Key West Cakes incorporates a lot of blues and aquas into the color palette with white chocolate seashells to accent, and sometimes real seashells! 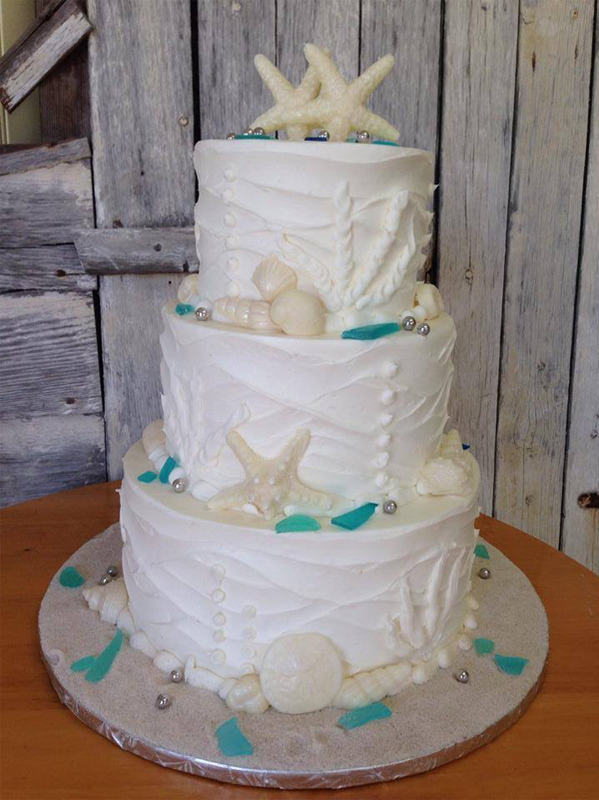 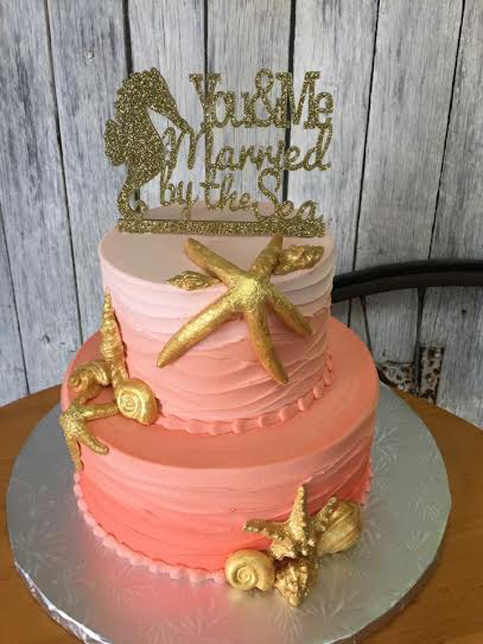 A beautiful textured buttercream cake with a blue ombre effect looks gorgeous next to coral accents and pearly seashells. 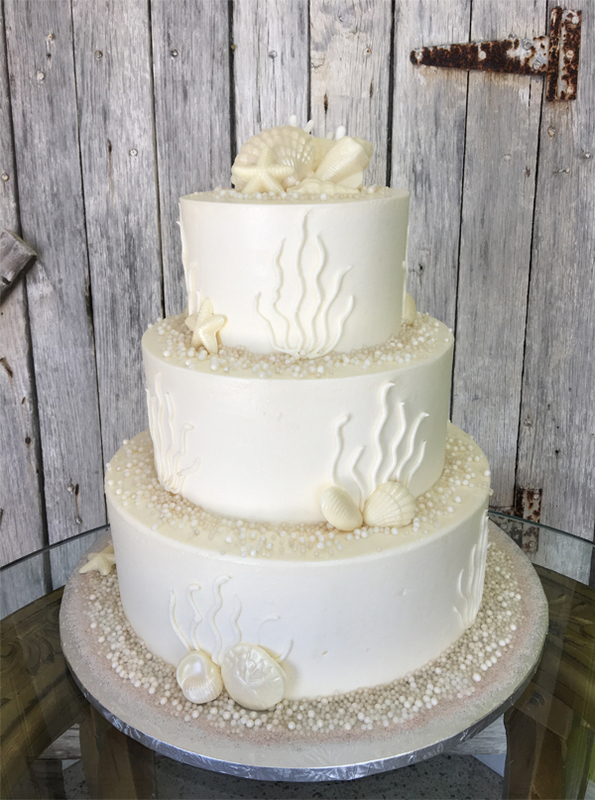 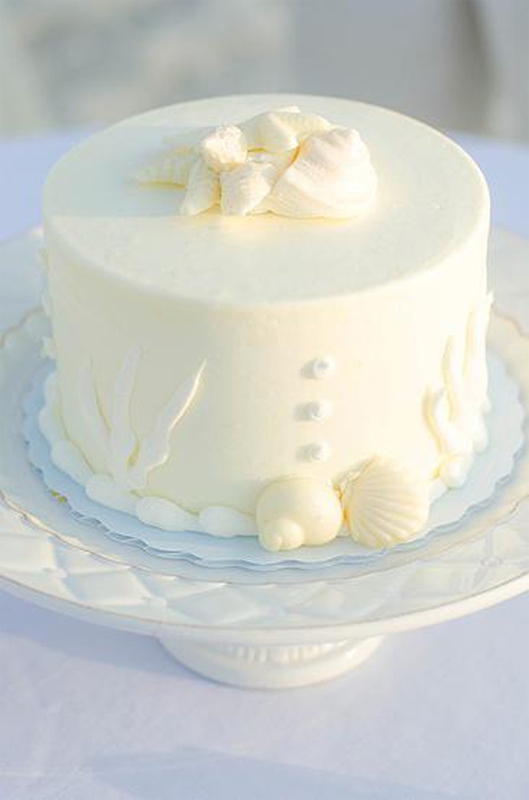 For an even more tropical look, Key West Cakes likes to use a few statement palm fronds as the only color on a white cake for an elegant, island feel.